I became curious about Catholicism when I learned that one of the brightest students I had ever met in seminary had become Catholic. Being a curious sort, I began to read books on Catholic theology and apologetics, as well as the stories of converts to the Catholic Faith. Why in the world, I wondered, would someone who was Protestant become Catholic? What exactly would his reasoning be? It wasn’t long before I ran into the works of probably the most famous convert to Catholicism of the 19th century, the great Anglican thinker, theologian, and preacher, John Henry Newman. I read his conversion story Apologia pro Vita Sua and, thoroughly impressed by his brilliance, launched right away into his classic Essay on the Development of Christian Doctrine. History is not a creed or a catechism, it gives lessons rather than rules; still no one can mistake its general teaching in this matter, whether he accept it or stumble at it. Bold outlines and broad masses of color rise out of the records of the past. They may be dim, they may be incomplete; but they are definite. And this one thing at least is certain; whatever history teaches, whatever it omits, whatever it exaggerates or extenuates, whatever it says and unsays, at least the Christianity of history is not Protestantism. If ever there were a safe truth, it is this. In nearly two decades as a Christian, I don’t believe I’d ever heard anyone say such a thing. Hmm, quite the bold assertion, I thought. I was nearly choking. What? To be deep in history is to cease to be Protestant? Talk about bold assertions! Who does this Newman fellow think he is making such outrageous claims? This utter incongruity between Protestantism and historical Christianity is a plain fact, whether … regarded in its early or in its later centuries …. So much must the Protestant grant that, if such a system of doctrine as he would now introduce ever existed in early times, it has been clean swept away as if by a deluge, suddenly, silently, and without memorial. At this point my mind was moving pretty quickly. Have I heard Newman clearly? Is he actually saying that if the systems of doctrine held by any Baptist or Presbyterian or Lutheran or Non-Denominational Evangelical Church existed in the early centuries of Christian history, the evidence of their existence has been “clean swept away as if by a deluge”? Is he saying there’s no evidence of such churches ever existing? That Protestantism, then, is not the Christianity of history, it is easy to determine. Wow! Not only is Protestantism not the Christianity of history; it’s easy to determine that Protestantism is not the Christianity of history! Here I was, a typical evangelical Protestant, who really hadn’t spent much time wrestling with the question of what Christians believed in the second, third, fourth and fifth centuries of Christian history. I had graduated from a well-known Protestant seminary. I had been ordained into the Protestant ministry and was about eight years into my career as a Protestant pastor. And here was one of the most brilliant Christian minds of the 19th century telling me that, if the kind of church I was leading, in terms of its system of doctrine, had ever existed in the earliest centuries of Christianity, its existence had disappeared from the historical record, leaving no trace. Newman was throwing down the gauntlet. He was making claims that, if true, would be really hard to ignore. It was these statements by John Henry Newman that rattled my Protestant bones and forced me for the first time to look seriously at the early Church. Now, as a Protestant, naturally sola Scriptura was the foundation of my worldview. I took inspired Scripture alone to be “Capital-A Authoritative” when it came to determining Christian doctrine and morals. The opinions of Bible scholars and theologians, even the solemn formulations of Church councils, creeds and denominational statements of faith — these functioned for me as guides and counselors. I respected them. But none of them possessed “Authority” in the sense that I would need to accept their ruling as true and bow to it, even if I thought the Bible was teaching something else. No. When it came to Christian faith and practice, as far as I was concerned, the quest for “truth” amounted to the quest to rightly interpret inspired Scripture and organize its teaching into a coherent system of Christian doctrine. And with this fundamental view of things, while I might have been curious as to what the Church of the early centuries of Christian history believed, I wasn’t all that curious. Men like Clement of Rome, Polycarp, Ignatius of Antioch, Justin Martyr, Irenaeus — I was familiar with their names. I knew they were heroes of the faith, many of them martyrs. But as for what they believed in terms of Christian doctrine? I didn’t think of this as something that would necessarily cast much light on the issues of New Testament interpretation, and therefore what I ought to believe. After all, if they agreed with what I took to be the most accurate reading of Scripture, I would say they were wise and faithful interpreters of God’s Word. If they disagreed with me, I would say they had drifted from the truth. I knew for sure that by the time of the Emperor Constantine in the fourth century, Christianity had pretty much twisted itself into the strange shape we call the Catholic religion. So why, exactly, should I trust anything said between the time of the Apostles and the time of Constantine? My working assumption was that the teaching of the Apostles had become corrupted in the second, third and fourth centuries, and therefore, the beliefs and practices of Christians in those early centuries didn’t necessarily tell us what the Apostles actually taught, or what their disciples — the first Christians — believed. Newman challenged that basic assumption. 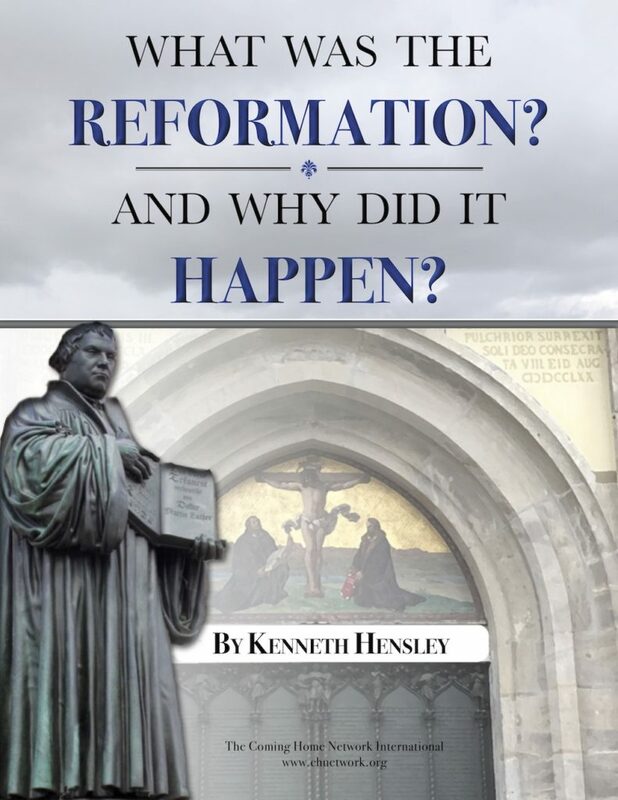 He argued that it’s more natural to think that “the society of Christians which the Apostles left on earth were of that religion to which the Apostles converted them” (page 5), rather than to think they weren’t. Sure, he argued, individual believers and local congregations might wander off in any and all directions. Heresies might arise. But if we look at the evidence of what the Christian Church believed during the early centuries following the Apostles, those centuries in which the Faith was carried to ends of the then-known world, and we can see the shape of a basic shared theology, shouldn’t that mean something? If, as Newman put it, “bold outlines and broad masses of color rise out of the records of the past” to paint a picture that is “definite,” however “incomplete” — wouldn’t that tell us something? 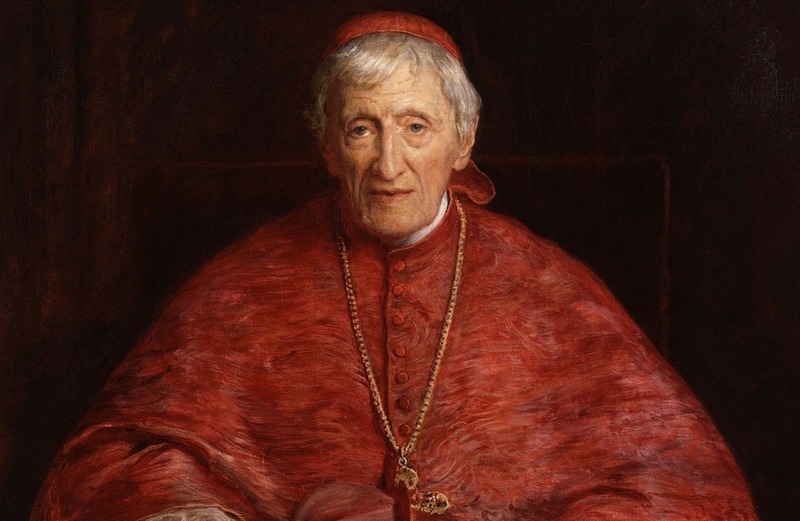 At a minimum, what Newman was saying is that the burden of proof should be on the one who says the Christian religion we see in those centuries closest to the apostolic age is not the Christian religion taught by the Apostles, not the other way around. The burden of proof should be on the one who says that the Church we see teaching and ruling during that time is not the Church founded by Christ and His Apostles — not the other way around. I believed Newman had a point — at least enough of a point that I should read the Church Fathers and see what they had to say. This is what I set out to do. I began to read the post-apostolic writings. I wanted to hear what those closest to the Apostles had to say. I especially wanted to hear what they had to say about the specific issue of authority, because I recognized this as being the key issue separating Protestantism and Catholicism. I wanted to know: was sola Scriptura the faith and practice of the early Church? Or was authority conceived in a different way? The first thing that moved me in the direction of thinking sola Scriptura was not in the minds of those Christians living immediately after the time of the Apostles is the simple fact that not one of the New Testament writers gives us any hint that it would be. When you think about it, what Protestantism essentially holds is that the Church Jesus established, and that we see functioning in the New Testament, is in a fundamental way not the Church our Lord intended to exist through the ages, until His return. The ability of the Church’s leadership to meet in council to authoritatively settle theological disputes and issue authoritative decrees. “It seemed good to the Holy Spirit and to us” (Acts 15:1-28). Now, Protestants don’t dispute this. They don’t dispute that this is how things were during the time in which the Apostles were alive. What they argue, however, is that with the death of the Apostles, all this changed and authority came to reside in Scripture alone. In other words, what Protestantism is essentially saying is that on the most foundational level, dealing with the most fundamental issue of all — the issue of where authority lies in the Church — a massive change occurred with the death of the Apostles. And yet (as we’ve seen in previous lessons), there is not a hint in the writings of the New Testament that such a profound change would be coming. We don’t find the Apostles talking about it. We don’t find them preparing the Church for it. Nowhere are the churches informed that, once the Apostles die, it’s going to be Scripture alone. Nowhere are believers informed that the Church will no longer have the ability, led by the Spirit, to settle disputes and authoritatively define Christian teaching. Instead, we see St. Paul commanding the believers to “stand firm and hold to the teachings we passed on to you, whether by word of mouth or by letter” (2 Thessalonians 2:15). We see him, as he prepares to leave this world, instructing Timothy, his spiritual son and successor in the ministry, to take the things he has “heard” Paul teach and “guard” them “by the Holy Spirit” so that he can “entrust” them to other faithful men, who presumably will do precisely what he has done (2 Timothy 1:13, 14; 2:1). We see Paul describing the Church as “the Church of the living God, the pillar and foundation of the truth” (1 Timothy 3:15). The emphasis in the New Testament is on the faith being preserved by the Holy Spirit, in the Church, through something akin to Apostolic Succession. This is what we actually see in the New Testament. Here, then, is the beginning of my coming to believe that sola Scriptura is unhistorical, that it was not in the minds of Christians living in the decades and centuries after the Apostles, and that it is not the historic faith of Christianity — the simple fact that no New Testament writer gives us any hint that it would be. 1. Works (Weimar 1898), 5:407, 35.